Investment in real estate represents a distinctive side to the financial world, a complement to stocks and bonds. Trained real estate financial analysts are needed to oversee the complex processes required, whether they’re independent professionals who work directly with clients or corporate employees tasked with managing companies’ large-scale portfolios. Individuals with an interest in the complexities of real estate investment can enter financial departments through related roles, becoming upwardly mobile by analyzing and reporting on real estate investment opportunities. The unique nature of real estate finance calls for professionals with relevant experience and professional backgrounds. The value associated with real estate purchases comes from the tangible and immovable nature of the parcels of land being exchanged. Real estate investments fall into the category of alternative investments. Companies and investors looking to broaden their investments beyond stocks and bonds can place money in the ownership of buildings and properties, trading the stock market’s higher liquidity for a chance to own more market condition-resistant physical assets. Investors can join the real estate market through aggregation vehicles. When groups want to own property without managing or operating it in a hands-on manner, entering a limited partnership is the way to do so. Investopedia contrasted such a partnership with commingled funds, which take contributions from pensions and other investment sources but still have a professional in charge of day-to-day management. Real estate investment trusts are traded on exchanges, making them higher-liquidity prospects. In addition to funds and groups of investors, corporations are building portfolios of real estate, which need oversight and management. 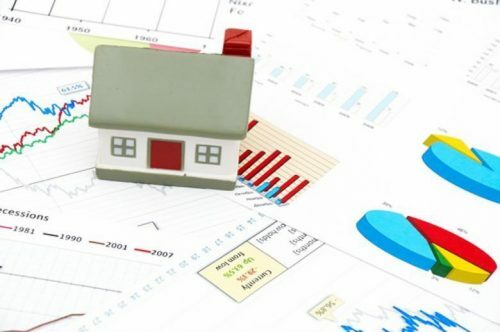 These companies entrust financial analysts with ensuring maximum return on their investments, and in today’s complex marketplace, those that can afford professionals solely dedicated to property investments can benefit from having these dedicated teams. Professionals looking to grow in the financial field should weigh their interest in various specialties, including the real estate financial analyst career path. Organizations expanding their property portfolios require high-level performance from their real estate analysts. These individuals will be tasked with assessing and acting on expensive and complicated opportunities around the globe. Inspecting new potential investments, reporting on the progress of current portfolios, and advising on optimal next steps are daily parts of this role. The industry’s need creates roles for applicants who excel in property-related practices. Real estate analysts can find positions providing actionable market data for clients in the government, corporate, and individual investment worlds. PayScale noted that most real estate financial analyst careers exist within corporations, with companies employing these individuals as part of their internal financial teams. Day-to-day tasks involve granular management of property portfolios, which includes ensuring assets maintain or increase their value in the market. Analysts will have to monitor market trends while preparing frequent reports and staying in touch with their clients or fellow employees. These duties include the need to assess potential new investments. When market conditions shift, real estate analysts should be ready to react quickly and effectively, seizing chances to modify a portfolio for increased value. Financial analysts, whether specializing in real estate or another area of expertise, should focus on developing a specialized skill set, whether they plan to take roles in corporate financial departments or to work as consultants for multiple funds. The U.S. Bureau of Labor Statistics indicated that these individuals must be able to make judgments and choices based on an extreme level of detail and meticulous research, as such careful calculations can have vast financial repercussions. A transaction based on a mistaken assumption may prove costly for organizations. Furthermore, prospective analysts must learn to communicate their findings clearly to individuals in power. Whether a real estate market-watcher is working in a corporate financial department or an independent firm, they will have to present proposed courses of action to departmental leaders or clients. These clients may not have insider financial knowledge and acumen, meaning analysts will have to find more general ways to express their concepts. Working well with supervisors and as part of a team can be a critical factor in determining the success of an analyst. Furthermore, they must be able to perform meticulous research, balancing it with days spent in constant contact with their teams. In terms of technical knowledge, financial professionals should be able to perform mathematical equations with speed and accuracy. They should also be adept and experienced with computers and software. The digital tools of an analyst’s trade evolve with every new system released, and professionals must keep up and be tech-savvy. According to PayScale, real estate financial analysts in the U.S. earn a median salary of $58,137, with higher-paid members of the profession making between $67,000 and $82,000. These professionals have the potential to increase their earnings by beginning a career as an analyst, advancing to a real estate manager, and then taking on the role of real estate director, transaction manager for real estate, or real estate asset manager. PayScale noted that vice presidents of real estate acquisitions earn a median salary of $142,202. Location can determine the salary a real estate financial analyst earns. According to PayScale, major coastal cities, such as San Francisco, Boston, Los Angeles, New York, and Miami, are the top locations in the U.S. in terms of relative salary. Individuals in these regions are situated in the center of some of the most active and expensive real estate markets in the country. Companies hiring personnel for these roles tend to look for candidates who have degrees in finance or business administration at bachelor’s levels or above. PayScale added that commercial real estate experience is also preferred if applicants want to begin working for a new employer in a higher-level role. A graduate-level education can grant real estate financial analysts the focused knowledge, relevant skills, and insights that translate to their work. Hiring managers may gain confidence upon seeing candidates have received such specialized instruction. 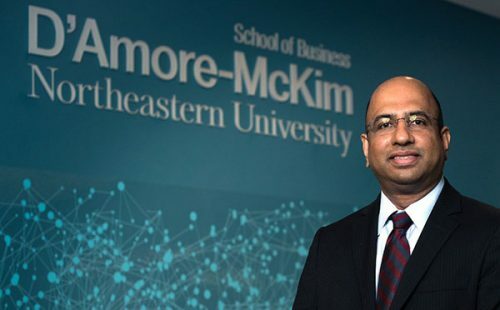 The Online Master of Science in Finance(MSF) program at Northeastern University’s D’Amore-McKim School of Business is designed to serve the needs of professionals looking for skills and credentials that matter to department leaders and hiring managers at today’s financial companies. The online class model means individuals can take courses alongside a full-time work schedule and acquire new and valuable skills while staying in their present roles. Northeastern University’s Online MSF program offers the course “Real Estate Finance and Investment”, which focuses solely on real estate topics from a finance perspective. Valuation of properties, analyzing the market, forming strategies, and comprehending taxation are some of the topics covered in the course. To learn more about the Online MSF program offered by Northeastern University, download a program brochure here.